Do you have a “comfort food”? I certainly do – it’s the hamburger! 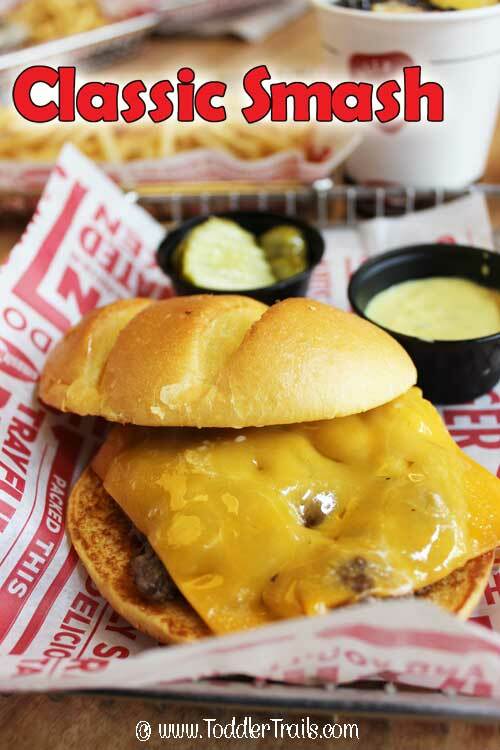 My kids have become just as enthusiastic about a great burger as I am, so when I was invited to sample Smashburger, the kids were super excited. 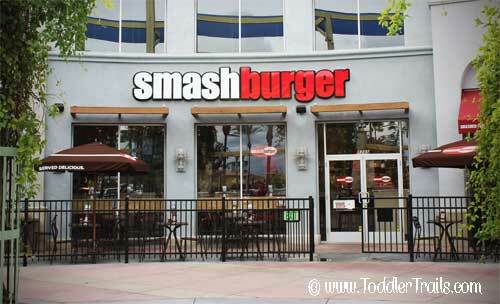 A twist on the typical hamburger, Smashburger takes the burger to a new level. Every burger starts with a fresh, never frozen, ball of natural 100% certified Angus beef. You also have the option to select a tender marinated chicken if you prefer a different option. 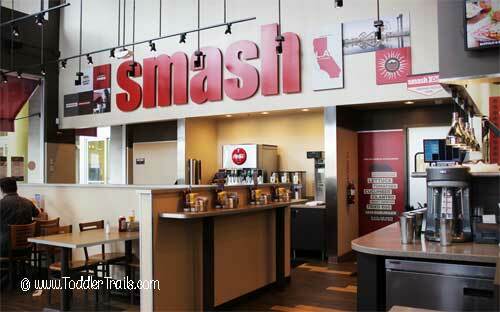 Now you can select either a signature Smashburger/Smashchicken or create your own. To create your own, there are four artisan buns to choose from, five fresh real cheeses, and loads of free sauces and toppings. You can even add premium items like Applewood smoked bacon, grilled mushrooms and more for a small fee. I am a sucker for a great Mushroom Swiss burger. 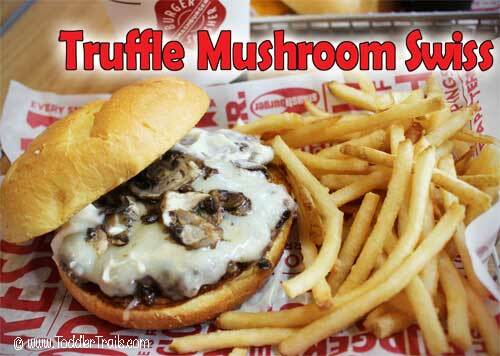 The Truffle Mushroom Swiss burger from Smashburger was delicious with truffle mayo, sautéed baby crimini mushrooms and aged swiss. It was just the right balance of mushrooms and swiss in each bite. 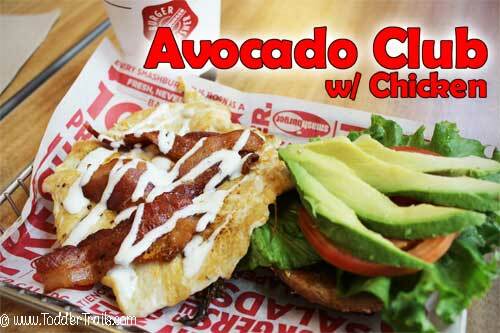 The Hubster went for the Avocado Club with Chicken since he’s been watching what his food intake. He really enjoyed the marinated chicken paired with the Applewood smoked bacon and loads of avocado. Since he is a big fan of tomatoes, he ordered more to add to his perfect burger. We decided to share a sample of the Avocado Club with Angus beef. 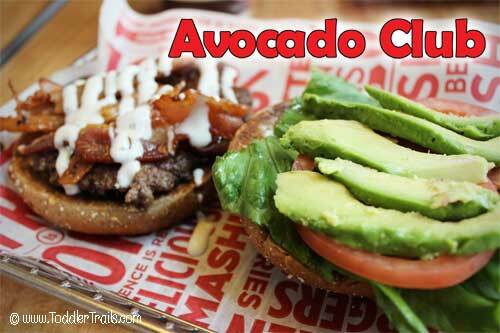 I love that they don’t skimp on the avocado – my favorite part of the burger. All kids meals include fries and a fountain drink. (Organic milk and juice are also available for an additional charge. If you love shoestring fries, Smashburger is the place to go. The kids devoured our order that was perfect for a family of four at $1.99. Next time we’re definitely going to try the sweet potato fries. Disclaimer: We were invited to sample items from the Smashburger menu and share our honest opinions. No other form of compensation was received. Great review! I went to the one in Irvine and my experience was slightly different but I’m willing to try these guys again. Thanks Oscar – and thanks so much for sharing!